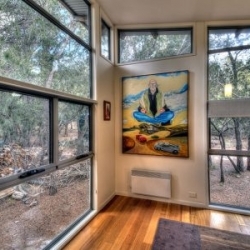 Freycinet Eco Luxe is uniquely located in the heart of Tasmania’s oldest and most visited national park. 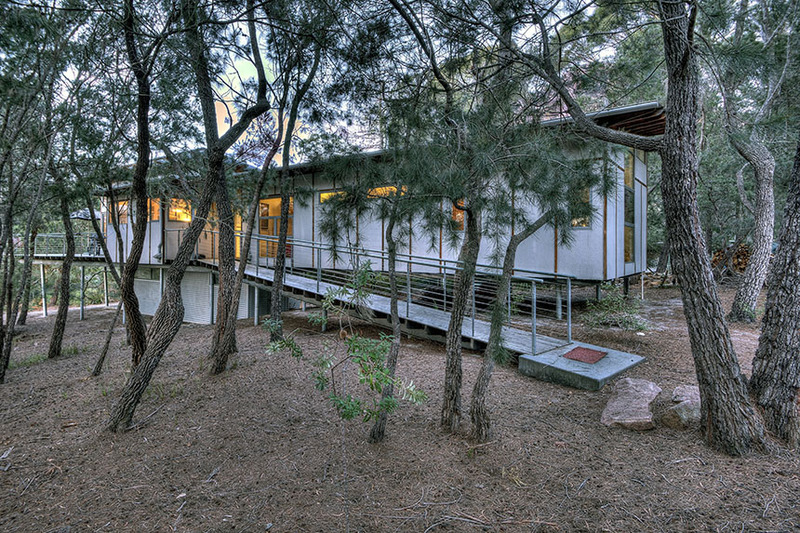 Designed by Hobart architects Michael Shapnel and Stephen Geason, the environmentally sensitive house is nestled amongst endemic flora, surrounded by the crystal blue waters of Coles Bay and extraordinary pink granite mountain range known as The Hazards. 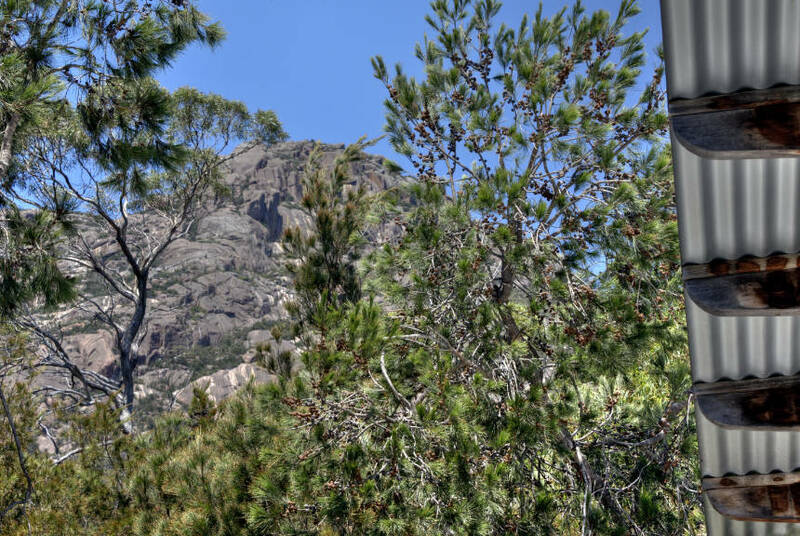 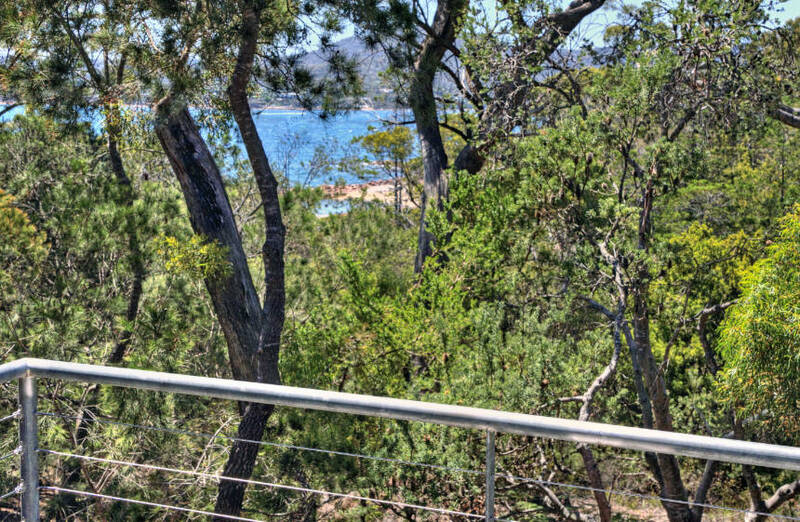 Just a short stroll from the front door leads you to the stunning and very private Fisheries Beach with immediate access to Freycinet National Park and world famous Wine Glass Bay. 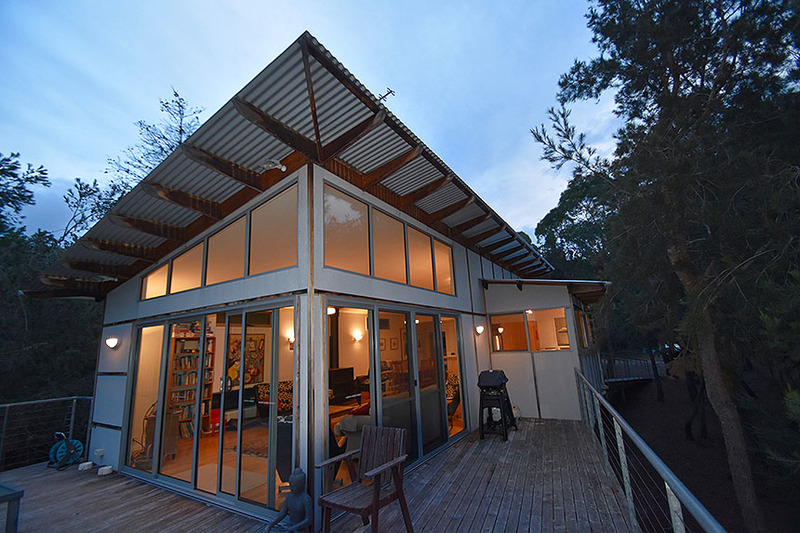 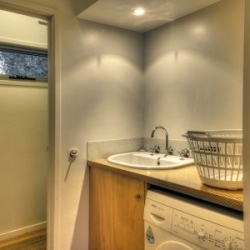 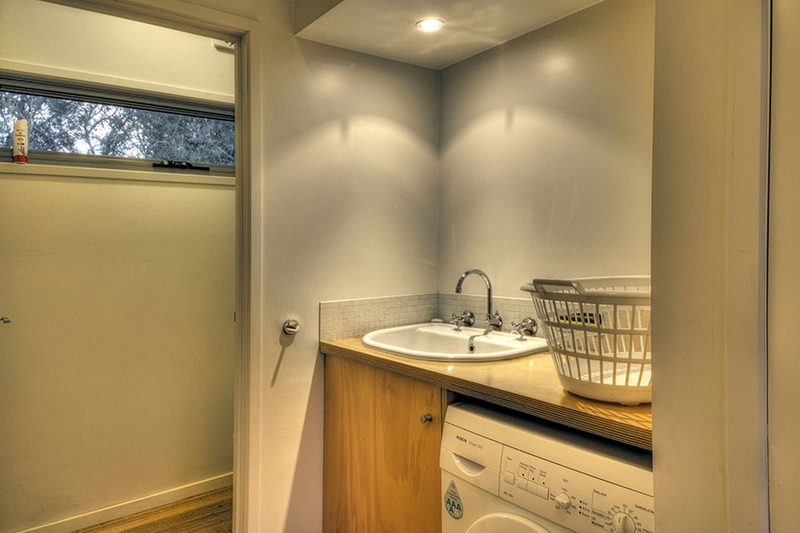 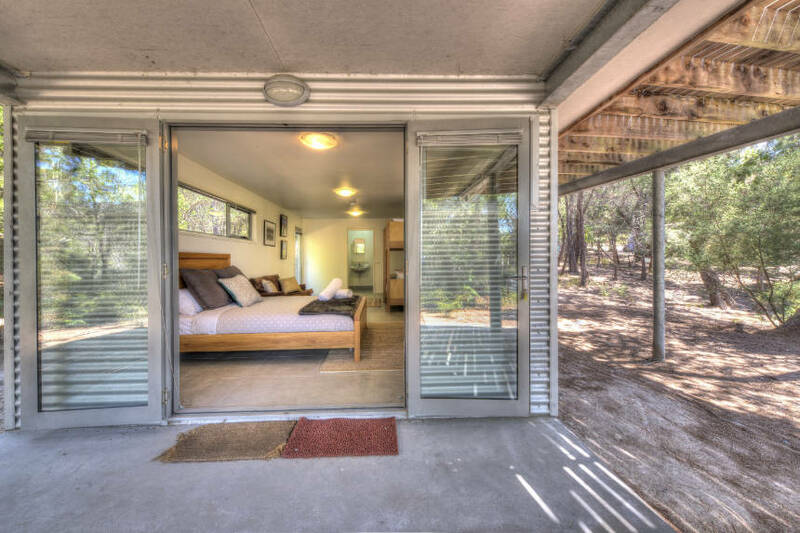 Freycinet Eco Luxe offers three bedrooms with two bedrooms upstairs and a large bedroom with ensuite downstairs. 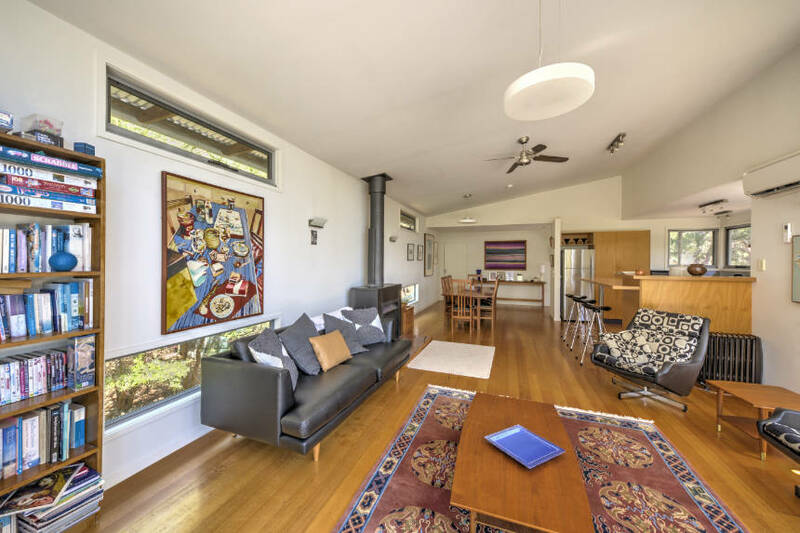 Much of the furniture is handmade by renowned Tasmanian fine furniture maker Rex Heathcote, with our private art collection adding a visual feast. 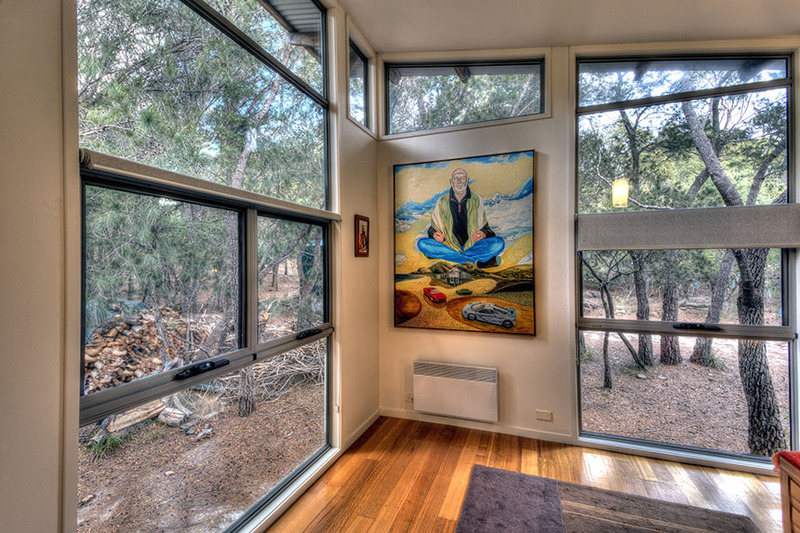 The large double-glazed windows, reverse-cycle air conditioning and free standing open fire means you will always be comfortable, whatever the weather. 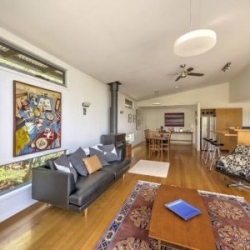 The house even has its own mooring, located close to the Fisheries Beach, so bring your boat – up to 20 feet – and moor it (almost) at the doorstep! 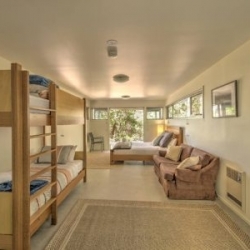 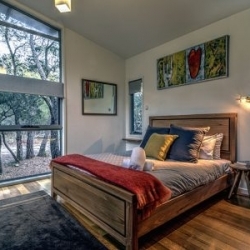 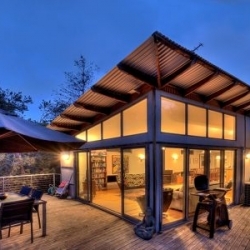 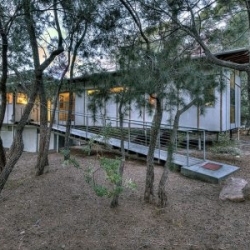 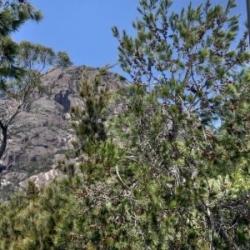 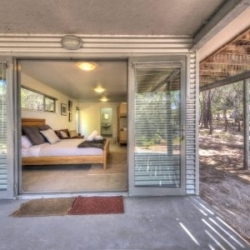 Freycinet Eco Luxe is registered to sleep six people with 2 people accommodated in each bedroom. 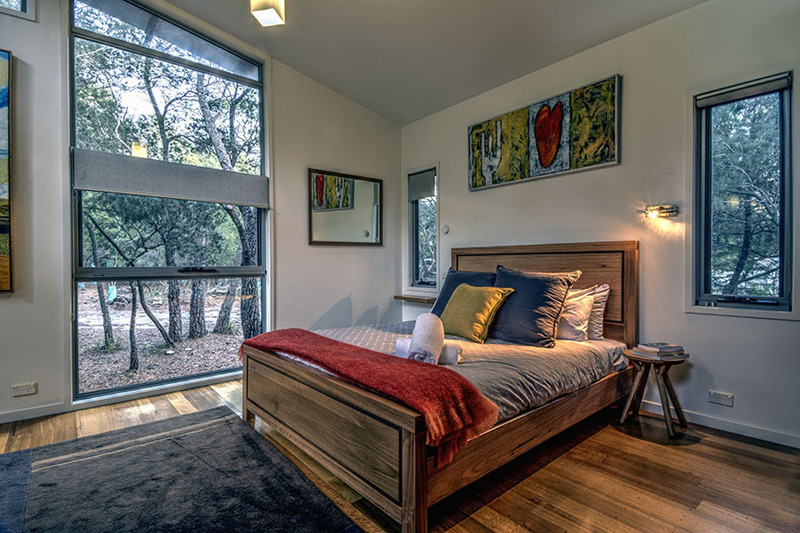 The downstairs bedroom can be configured in different ways depending on your needs. 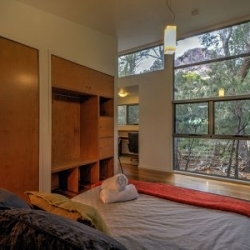 This bedroom has external access only. 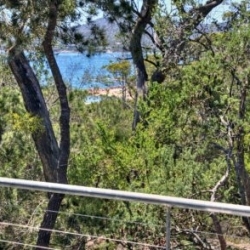 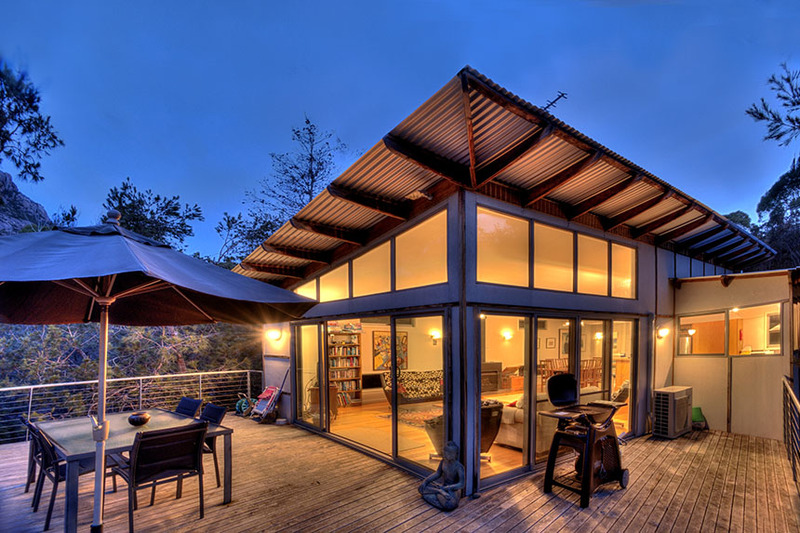 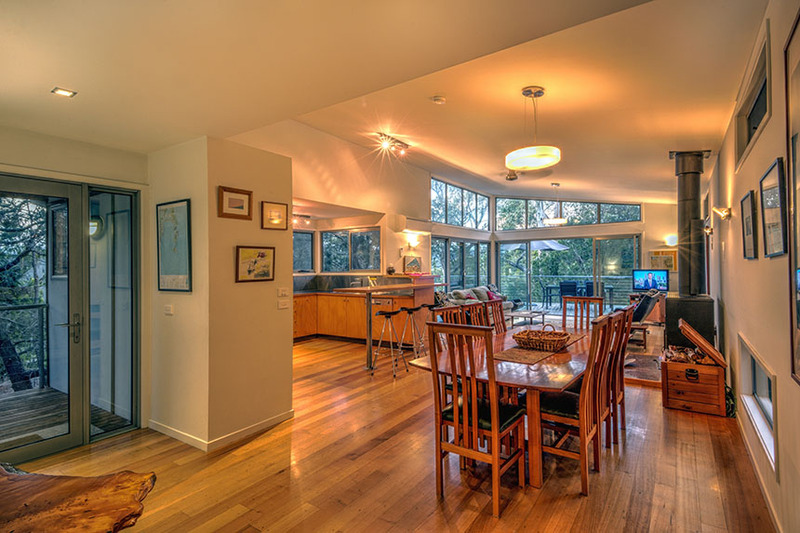 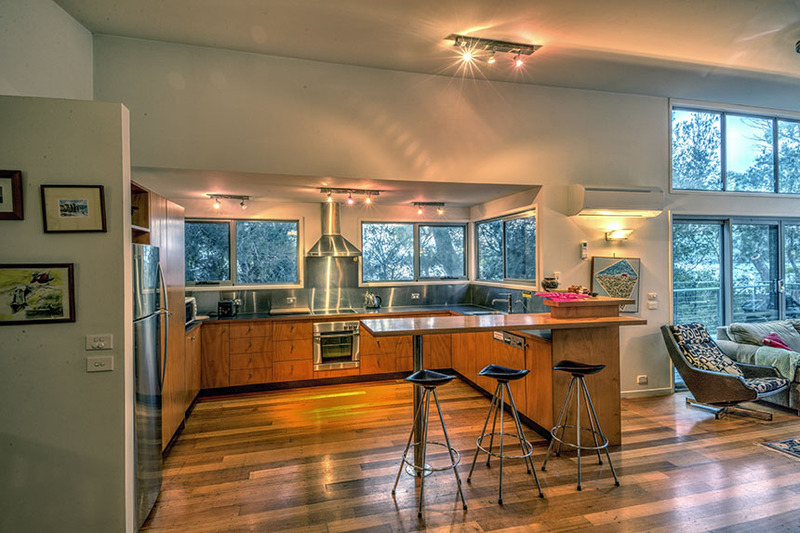 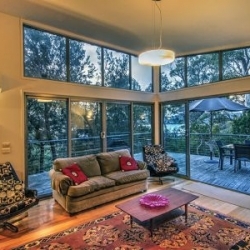 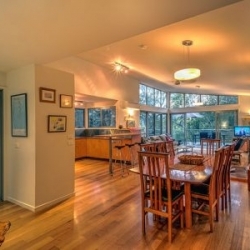 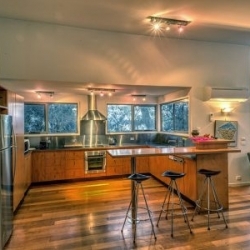 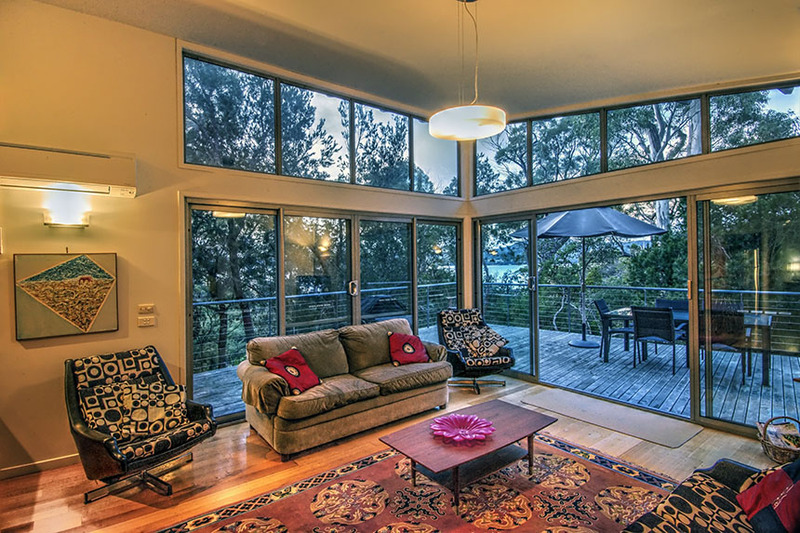 The entire house comprises the main living area inclusive of kitchen, dining and living rooms with a free-standing open fire (with screen) sitting on a hearth of rare pink Coles Bay granite. 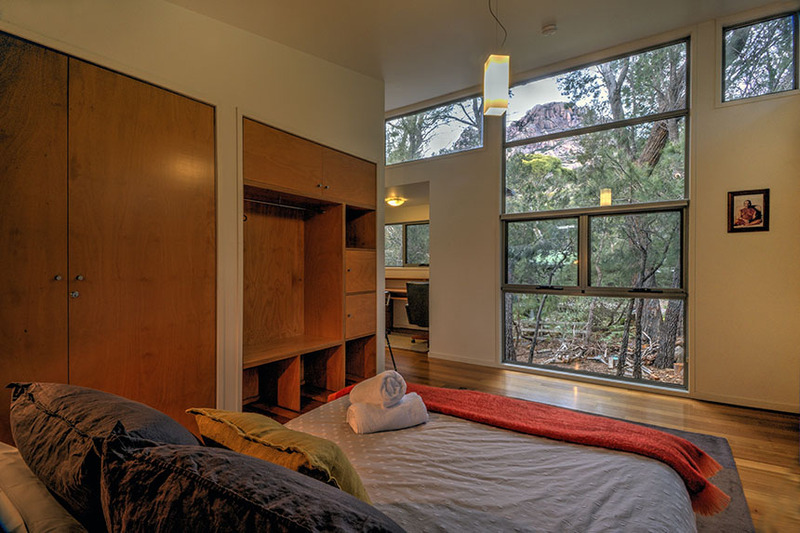 The master bedroom and study boast views to Mt Amos and includes a handmade dark myrtle queen size bed. 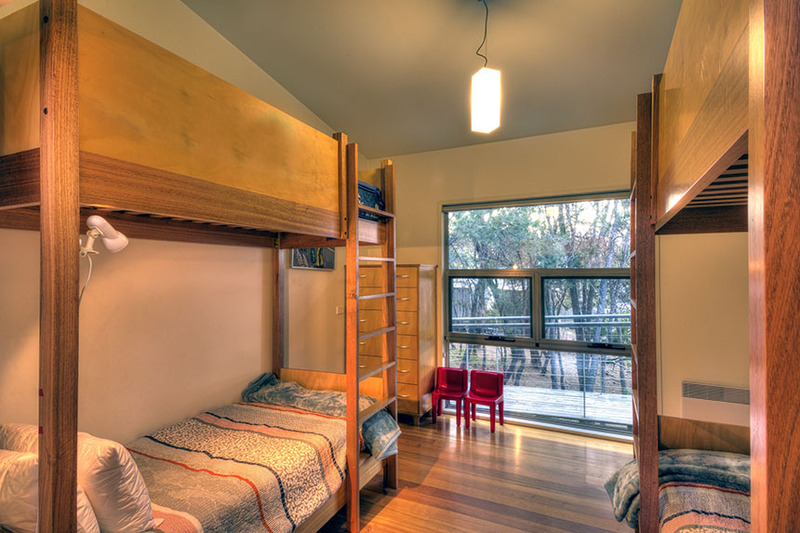 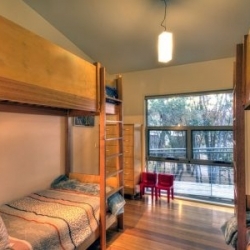 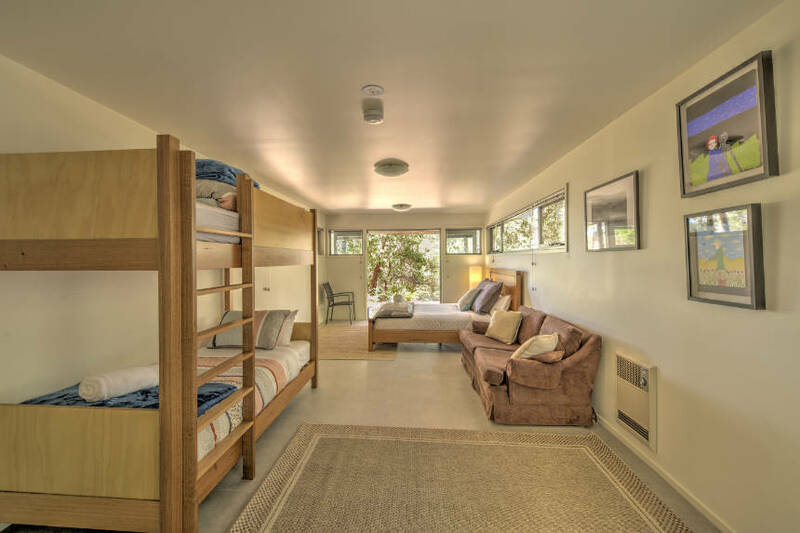 The second upstairs bedroom has two hand-made Tasmanian Oak single beds (configured as two bunk beds but only available as two singles), with forest and water views. 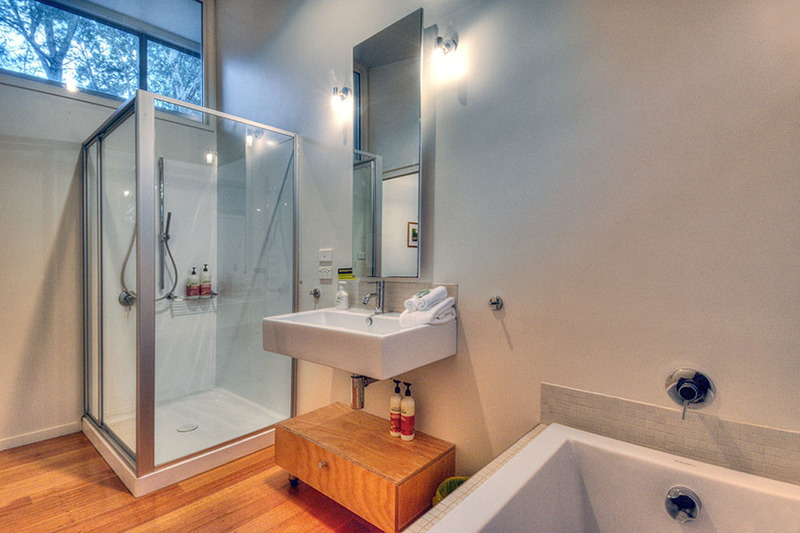 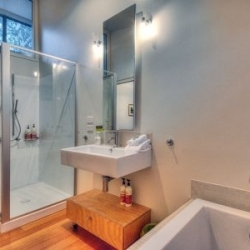 Both bedrooms share the bathroom that boasts views of Mt Amos directly from our Philippe Starck bath.